Turks’ Greenhouse was established in 1978 when Barnabas Turk chose to follow his passion for flowers and add a greenhouse division to his already existing landscaping business. His goal was to provide customers with quality plants that he grew himself, and excellent service. Our concern for our customer’s satisfaction is what helped us grow our business to where it is now. 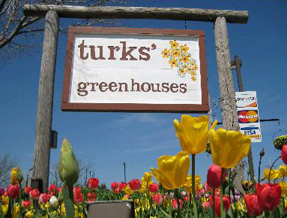 Today, Turks’ Greenhouses is proud to maintain both a large retail and wholesale repeat customer base. We supply home gardeners as well as local landscape companies, municipalities, and clubs.